Award-winning value airline Scoot launches services from Singapore to Chennai, bringing exceptional value and Scootitude to guests as it spreads its wings to India. Scoot’s service to Amritsar commencesthree times weekly and will increase frequency with an additional Monday service from July, restarting the Singapore-Amritsar route for the SIA Group. Scoot takes over the Singapore-Chennai daily service from Tigerair, expanding capacity to Chennai for the SIA Group with its new and spacious Boeing 787 Dreamliner as the world’s first all-787 operator. through the Singapore hub, as well as onward with Singapore Airlines, SilkAir and Tigerair in the SIA Group portfolio,” he added. Scoot will also commence Singapore-Jaipur services four times weekly from October. According to the International Air Transport Association (IATA), India is projected to be the world’s thirdlargestair passenger market by 2031 with a total of 367 million passengers by 2034, an extra 266 million annual passengers compared to today. * Monday service will be added from 1 July 2016, bringing frequency from three to four times weekly. ** Schedules are correct at time of print and subject to change. All times listed in local. +1 refers to arrival on the next day. Scoot™, the low-cost, medium-haul arm of the Singapore Airlines Group, has carried nearlyseven million guests since taking to the skies in June 2012. The world’s first all 787 Dreamliner fleet operates between Singapore and Sydney, Gold Coast, Bangkok, Taipei, Tokyo, Tianjin, Shenyang, Nanjing, Qingdao, Seoul, Hong Kong, Perth, Osaka, Kaohsiung, Hangzhou, Melbourne, Guangzhou, Jeddah, Chennai and Amritsar, and soon to Jaipur and Sapporo. Scoot provides – in addition to fantastic value airfares – a safe, reliable and contemporary travel experience with a unique attitude – Scootitude™. 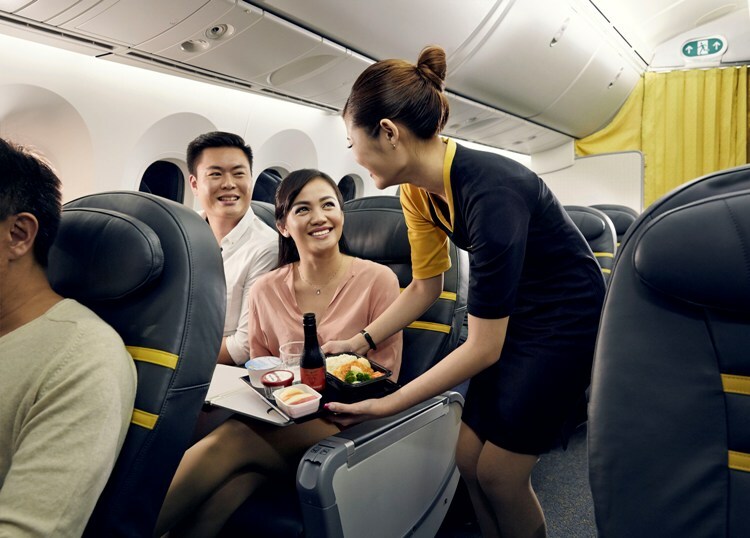 Offering amenities including on-board Wi-Fi Internet connectivity and in-seat power and the ability to redeem and accrue Singapore Airlines KrisFlyer miles, Scoot was voted 2015-16 Best Low Cost Airline (Asia/Pacific) by AirlineRatings.com and ranked in the Top 10 of the World’s Best Low-Cost Airlines in 2015 by Skytrax. Scoot is passionate about changing the way people travel long distance. Book your tickets at FlyScoot.com or contact our Call Centre. Find out more on FlyScoot.com, Facebook.com/FlyScoot, Instagram.com/FlywithScoot or Weibo.com/Flyscoot.